Even though this wasn’t the second course at the pie party, I’m posting the I Don’t Want Earl’s Baby Vinegar Pie today so that it stays in 2017 with the rest of the crap that’s happened this year. I’m not sure of the origins of this pie, so apologies to wherever this was conceived and whoever it was conceived by (puns intended), but it is NOT good. Kind of how Jenna felt about her baby except Lulu turned out the be the best thing that ever happened to her and this pie did not. Only two of eight dinner guests managed to eat more than two bites. That being said, everyone has different tastes, so maybe some folks out there will enjoy this one?? 1) Do something fun with the crust because the pie is otherwise pretty boring. I chose to do a braid. 2) The recipe requires a double boiler, but mine is way too small to cook all of the ingredients in. Instead, I just used a larger ceramic bowl over a large pot. 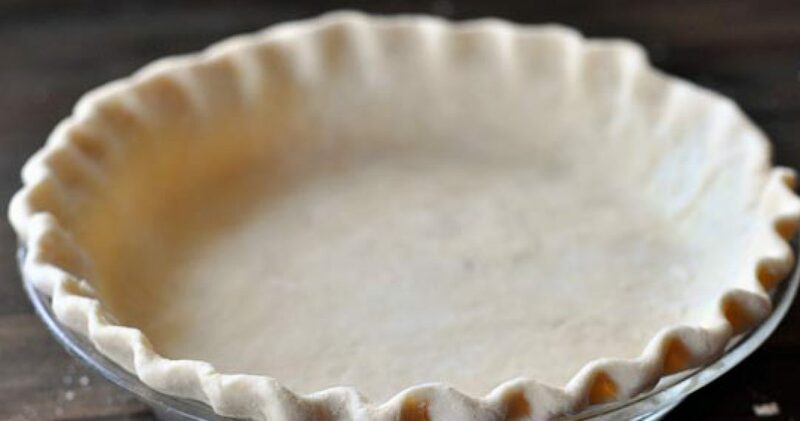 3) As stated in part one, don’t stir the contents of this pie while removing hot pie crust from the oven. It will lead to a sad pile of pie shell, blisters, and tears. Well, despite this being my least favorite pie not only from this cookbook, but probably of all time, I was told by my party guests that my execution was spot-on. Yay? I was actually pretty excited about this one because I love vinegar. The book claims the pie will taste like a Sour Patch Kid. It did not. The texture was what bothered me most, though. It was both gelatinous and not gelatinous enough all at once. I for real don’t want no I Don’t Want Earl’s Baby Vinegar Pie. I just made this one the other day and I was pretty disappointed too. Even more so since I was actually really looking forward to it having never had a Vinegar Pie of any sort before.